Antarctic Ocean, also known as the Southern Ocean as it is in Southern Hemisphere is the fourth largest and least talked of other oceans and also least explored although it covers 22 percent of global ocean area. One major highlight of this ocean is the frequent occurrence of foot waves due to violent storms. 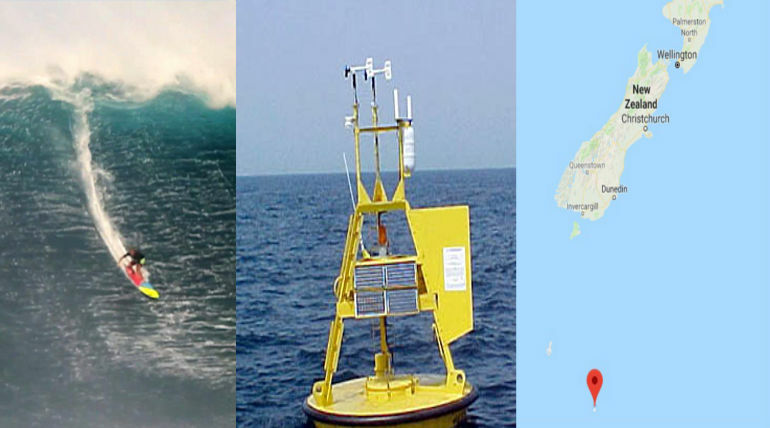 So, Buoys are usually kept in the ocean to record the wave height and speed. In 2012, an Australian buoy recorded a 22.3 metre (73 feet) in the south of Tasmania and after 5 years, the record has been broken by another measurement of 22.8 meters (78 feet) foot wave near New Zealand's Campell Island on Tuesday. The 78-foot record is said to be the highest known one in the Southern Hemisphere as informed by Dr Tom Durrant, Senior Oceanographer with MetOcean Solutions. Due to low-pressure and high-speed winds (over 75 mph), the giant wave would have occured and it is also related to climate change and extreme conditions of the ocean. The oceanographer also suggests that the wave height would have exceeded more than that recorded (may be up to 85 metres) since the solar-powered buoy could only record for first 20 minutes of every three hours to sustain its battery life for its one year (March 2018 to March 2019) deployment in the ocean. The recorded data is then sent through a satellite link. The statistics of foot waves will be useful to understand the wave physics in the Southern Ocean.